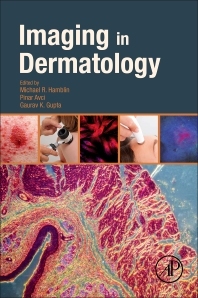 Imaging in Dermatology covers a large number of topics in dermatological imaging, the use of lasers in dermatology studies, and the implications of using these technologies in research. Written by the experts working in these exciting fields, the book explicitly addresses not only current applications of nanotechnology, but also discusses future trends of these ever-growing and rapidly changing fields, providing clinicians and researchers with a clear understanding of the advantages and challenges of laser and imaging technologies in skin medicine today, along with the cellular and molecular effects of these technologies. Dermatologists and other physicians; researchers in the fields of dermatology, radiology, drug delivery and pharmaceutical science, molecular biology, cancer diagnostics and treatment, and biotechnology. Michael R Hamblin Ph.D. is a Principal Investigator at the Wellman Center for Photomedicine at Massachusetts General Hospital, an Associate Professor of Dermatology at Harvard Medical School and is a member of the affiliated faculty of the Harvard-MIT Division of Health Science and Technology. He was trained as a synthetic organic chemist and received his PhD from Trent University in England. His research interests lie in the areas of photodynamic therapy (PDT) for infections, cancer, and heart disease and in low-level light therapy (LLLT) for wound healing, arthritis, traumatic brain injury and hair-regrowth. He directs a laboratory of around a sixteen post-doctoral fellows, visiting scientists and graduate students. His research program is supported by NIH, CDMRP, USAFOSR and CIMIT among other funding agencies. He has published 252 peer-reviewed articles, over 150 conference proceedings, book chapters and International abstracts and holds 8 patents. He is Associate Editor for 7 journals, on the editorial board of a further 12 journals and serves on NIH Study Sections. For the past 9 years Dr Hamblin has chaired an annual conference at SPIE Photonics West entitled "Mechanisms for low level light therapy" and he has edited the 9 proceedings volumes together with four other major textbooks on PDT and photomedicine. He has several other book projects in progress at various stages of completion. In 2011 Dr Hamblin was honored by election as a Fellow of SPIE. Pinar Avci, MD is a Research Fellow in Wellman Center for Photomedicine, Massachusetts General Hospital and Harvard Medical School Department of Dermatology, Boston USA. She received her MD degree in General Medicine from Semmelweis University, and is currently pursuing her PhD in Department of Dermatology, Venereology and Dermato-oncology, Semmelweis University, Budapest, Hungary. She is currently conducting research in the area of Photodynamic therapy (PDT) – a localized approach for treatment of cancer and infections and its effects in developing anti-tumor immunity. Gaurav Gupta did both his MBBS and MD at J.N. Medical College, Aligarh, India, and subsequently received PhD training at the Creighton University, Omaha, NE, USA and postdoctoral fellowship training at Massachusetts General Hospital, Harvard Medical School. Currently he is pursuing Residency training at Tufts Medical Center and a visiting postdoctoral fellow at Massachusetts General Hospital, Harvard Medical School.